It never fails to surprise us that artists all over the worlds are still finding unique tools and new mediums to display their art. 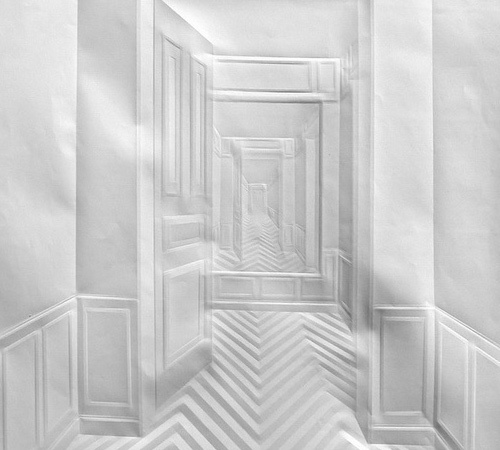 Take Simon Schubert‘s work for example, in which he uses lined imprints onto paper to convery magnificent buildings and feats of architecture. The detail is astounding and it’s difficult to imagine how such incredible 2D works of art can be achieved by folding or hand-embossing a single sheet of paper. His website is only in German which for us ashamedly means only looking at the pictures (!) but there are plenty of links for finding out more about his exhibitions.